Subject to weather conditions, it is expected that traffic will be switched from using the A90 northbound carriageway at Stonehaven to the newly constructed A90 southbound carriageway between noon on Wednesday August 30 and 6am on Thursday August 31. Various lane closures will be in operation on the A90 at Stonehaven during this period to facilitate the traffic switch. The contractor plans to start the demolition of the existing northbound carriageway bridge, which currently carries the A90 over the B979 Netherley Road, this weekend. This can only be undertaken once essential preparatory works have been completed, which are weather dependent. To help prepare for these potential works, and to ensure the demolition of the bridge can take place safely, the B979 between New Mains of Ury and Glenury Road will close from around 8pm on Friday September 1 until around 6am on Monday September 4. The slip road from the B979 at New Mains of Ury to the northbound A90 will be unaffected; however, there will be no access to the A90 via the new southbound slip road which will be closed for the duration of these works. Diversions will be signposted. 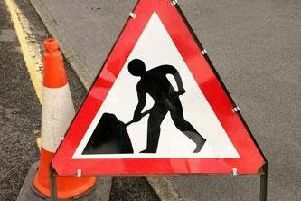 Road users wishing to access the A90 from Stonehaven should travel via B979 David Street, Allardice Street and then the A957 Bridgefield, Dunnottar Avenue up to Glasslaw Junction. They should then turn right onto the A92, known locally as the Coast Road which leads to the A90. Road users intending to travel south into Stonehaven via the B979 should turn left at New Mains of Ury to join the A90 heading northwards towards Aberdeen. They should then leave the A90 at the Newtonhill flyover junction and re-join the A90 heading south, taking the first exit to Stonehaven, the U90K Den of Logie Road. The contraflow on the A90 will remain in place while these works are underway, with one lane of traffic running in each direction on the southbound carriageway. Following the demolition of the existing northbound carriageway bridge, a contraflow with two lanes of traffic heading northbound and one lane of traffic heading southbound will be in operation on the newly constructed southbound carriageway bridge. There will be no direct access for pedestrians or cyclists but a mini bus will be available to provide transfers via the diversion. Once the bridge is demolished using specialist plant including breakers, the contractor will immediately begin construction of the new A90 northbound carriageway bridge section. A Transport Scotland spokesperson said: “By moving traffic over to the southbound carriageway at Stonehaven, the contractor is aiming to undertake the demolition of the existing A90 northbound carriageway bridge this weekend. However, the demolition works will only progress if weather conditions are favourable over the next few days. “These works will be taking place in close proximity to the A90 southbound carriageway, which will remain open. We would therefore like to remind road users to apply more caution than usual when driving near these works for their own safety and the safety of the workforce. We would also like to encourage road users to observe all road signage and to allow more time than usual for their journey. Further information on upcoming weekend road closures of the B979, between the railway bridge and the existing A90 bridge, will be announced in advance.